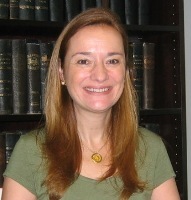 Dr. Kollander joined the faculty at Florida Atlantic University in 1991, and served as Department Chair from 2007 to 2013. Her research and teaching interests include modern Germany, modern Russia, World War II, and the history of European women. In 2006, she was recipient of a University Undergraduate Teaching award. Her publications include Frederick III: Germany's Liberal Emperor (Greenwood Press, 1995); "I Must Be a Part of this War": A German-American's Fight against Hitler and Nazism (with John O'Sullivan, contributor; Fordham University Press, 2005); she was also co-editor of An Age of Conflict: Readings in Twentieth Century European History (Third Edition, Harcourt-Brace College Publisher, 2001). Her articles have appeared in theh scholarly journals German History, European Review of History, Yearbook of German-American Studies and The Historian. Recent publications include an edited oral history Courage Takes Flight: An Oral History of the LIfe and Times of World War II Bombardier Harold Glasser (American Life Publishers, 2011), and an essay entitled "Boomerang Resistance: German Emigres in the U.S. Army in the ETO during World War II" published in A Companion to the Second World War (Wiley-Blackwell Publishing, 2013). Dr. Kollander is currently researching the experiences of some thirty thousand native-born Germans who fought in the U.S. Army during World War II. She is also working on a revisionist biography of Empress Victoria of Germany (1841-1901). Graduate Readings Seminar: Hitler and Stalin, Parallel Lives?